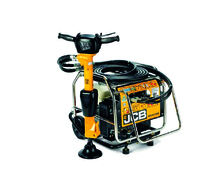 The JCB Light Equipment range is one of the most extensive around and includes everything from powerpacks to handheld breakers, pumps, vibratory rammers and drills. 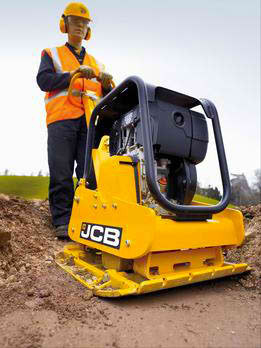 Each machine comes with JCB’s unrivalled reputation for world-class quality, innovation and reliability built in. 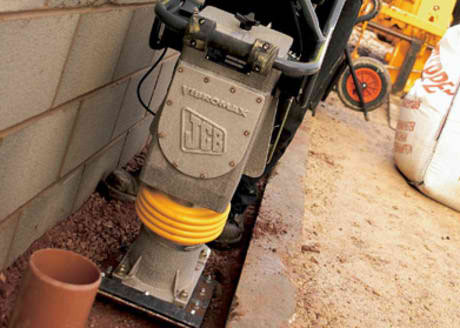 The 75 kg VMR 75 is our larger vibratory rammer. It’s strong, low maintenance and smooth to operate. 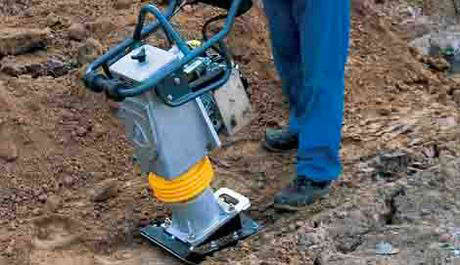 The 60 kg VMR 60 is the smaller of our two vibratory rammers. It’s strong, low maintenance and smooth to operate. 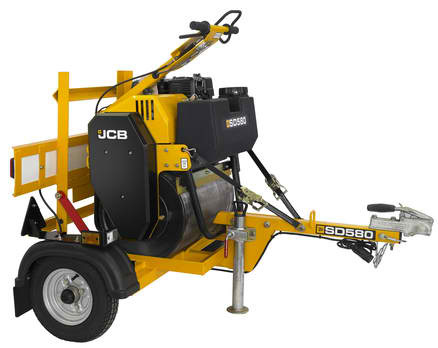 The 80 kg JCB VMP 8 reversible plate compactor is hydrostatically operated and designed for use on granular and cohesive material and is powered by a 3.1 kW Honda engine. 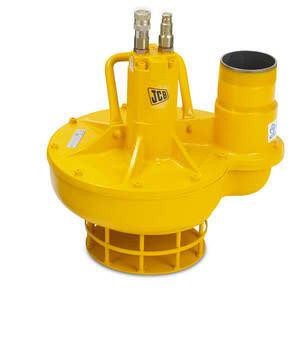 Working width is 325 mm and centrifugal force is 16 kN. 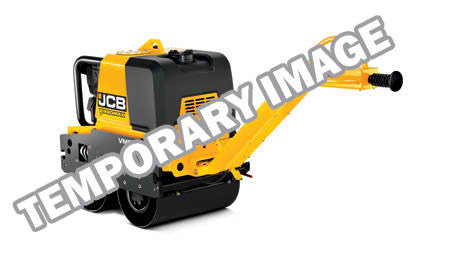 The 235 kg JCB VMP 24 reversible plate compactor is the heaviest, the widest and most powerful VMP of the range. It’s powered by a 4.5 kW Hatz engine. 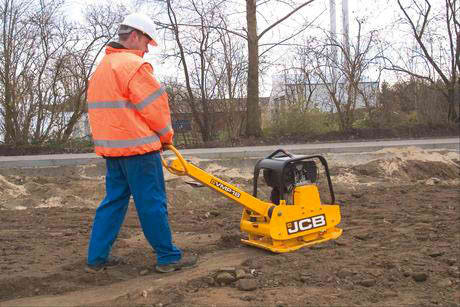 The 177 kg JCB VMP 18 reversible plate compactor is heavier, wider and more powerful than the VMP 14. It’s powered by a 3.1 kW Hatz engine. 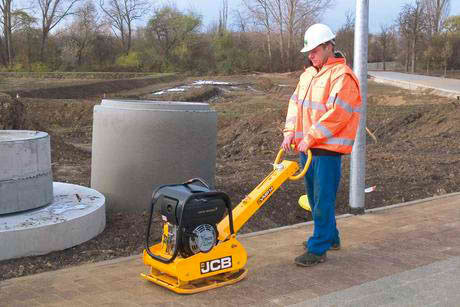 The 135 kg JCB VMP 14 reversible plate compactor is heavier, wider and more powerful than the VMP 8. It’s powered by a 3.1 kW Hatz engine. 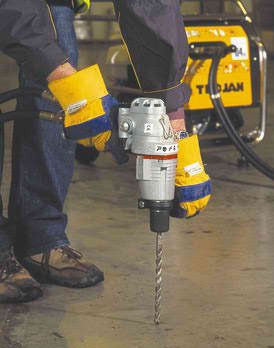 The Trojan heavy-duty powerpack has a choice of hydraulic outputs to get optimum power for heavier breaking, drilling and cutting applications. 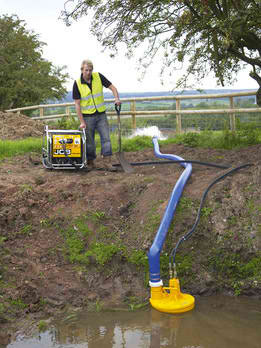 Submersible trash pumps for managing matter that would clog other pumps. 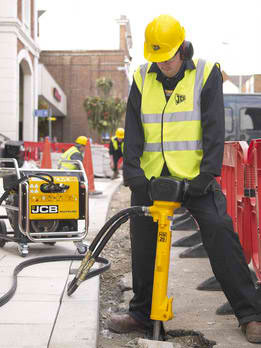 The JCB T-Pick is a small lightweight hammer designed for light-to-medium duty breaking. 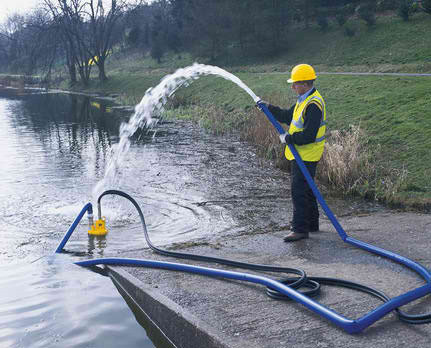 JCB’s submersible pump comes in either 20 l/min or 30 l/min flow rate guises to match different hydraulic flow power packs. Whichever option you choose, it will be self-priming with a high power-to-weight ratio. 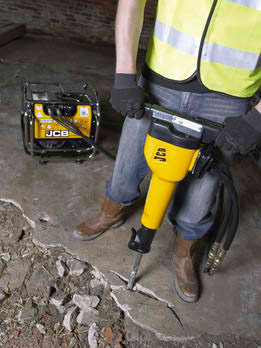 The JCB Rotary Impact Drill is ideal for hammer drilling in concrete, brick, rock and other difficult materials. Full VCA approval enabling use in the UK and Europe with LED lighting. 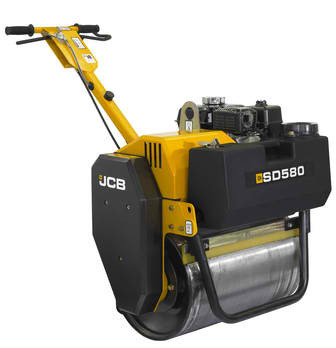 The SD580 is our smallest walk-behind roller. It weighs 185kg and comes with a proven Honda GX160 engine.